1961 - Jerome Bruner, an American psychologist, introduces the Discovery Learning Model. Check the Instructional Design Models and Theories: The Discovery Learning Model article and presentation to find more. 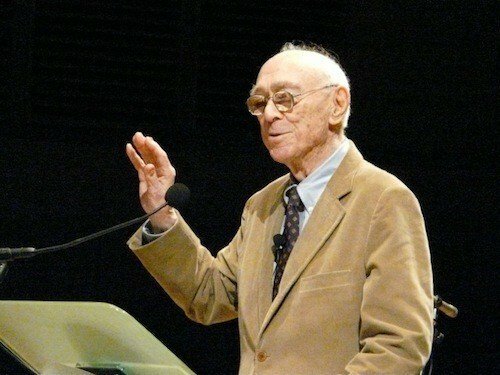 Discovery Learning was introduced by Jerome Bruner, and is a method of Inquiry-Based Instruction. This popular theory encourages learners to build on past experiences and knowledge, use their intuition, imagination and creativity, and search for new information to discover facts, correlations and new truths. Learning does not equal absorbing what was said or read, but actively seeking for answers and solutions. Instructors should guide and motivate learners to seek for solutions by combining existing and newly acquired information and simplifying knowledge. This way, learners are the driving force behind learning, take an active role and establish broader applications for skills through activities that encourage risks, problem-solving and probing. Instructors should allow participants to work either alone or with others, and learn at their own pace. This flexibility makes learning the exact opposite of a static sequencing of lessons and activities, relieves learners from unnecessary stress, and makes them feel they own learning. Principle 3: Integrating and Connecting. Instructors should teach learners how to combine prior knowledge with new, and encourage them to connect to the real world. Familiar scenarios become the basis of new information, encouraging learners to extend what they know and invent something new. Principle 4: Information Analysis and Interpretation. Discovery learning is process-oriented and not content-oriented, and is based on the assumption that learning is not a mere set of facts. Learners in fact learn to analyze and interpret the acquired information, rather than memorize the correct answer. Principle 5: Failure and Feedback. Learning doesn’t only occur when we find the right answers. It also occurs through failure. Discovery learning does not focus on finding the right end result, but the new things we discover in the process. And it’s the instructor’s responsibility to provide feedback, since without it learning is incomplete. The discovery learning educational sessions should be well-designed, highly experiential and interactive. Instructors should use stories, games, visual aids and other attention-grabbing techniques that will build curiosity and interest, and lead learners in new ways of thinking, acting and reflecting. The techniques utilized in Discovery Learning can vary, but the goal is always the same, and that is the learners to reach the end result on their own. By exploring and manipulating situations, struggling with questions and controversies, or by performing experiments, learners are more likely to remember concepts and newly acquired knowledge. It needs a solid framework, because the endless wandering and seeking for answers might be confusing. It shouldn’t be used as a main instruction method, because it has limitations in practice and might produce inadequate education. Instructors need to be well prepared and anticipate the questions they may receive, and be able to provide the right answers or guidelines. At a certain level, it rejects the idea that there are significant skills and knowledge that all learners should need to learn.